Even with winter upon us here in Norway the season is getting closer, and every so often I get a order of classics to fish with. I enjoy tying these since I know they will swim in a river, chasing silver somewhere in Scandinavia! 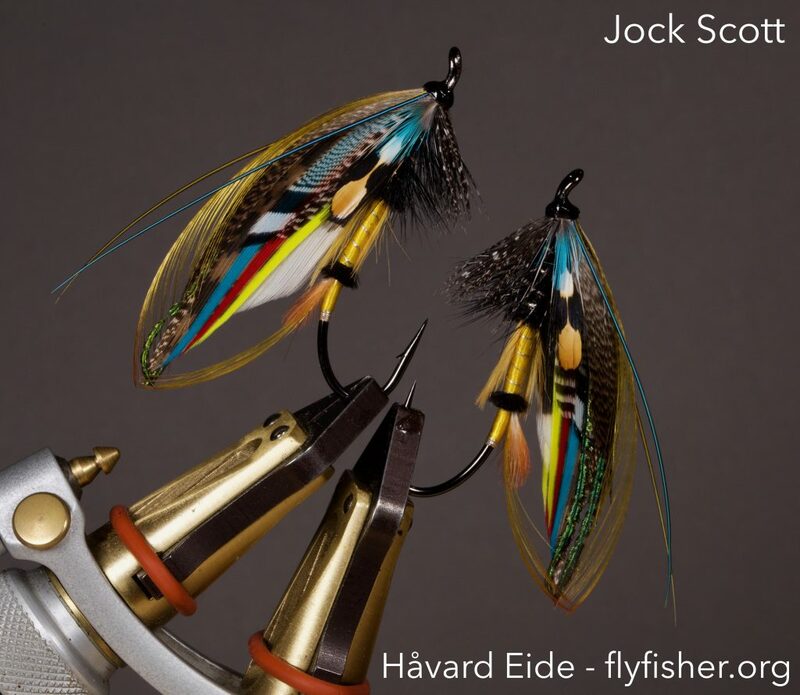 When tying for fishing I make sure to enforce the fly to make it as fishable and durable as I can: a bit of superglue to get the but to sit correctly, reverse-hackle the bodyhackle, a few extra turns with well waxed thread to make sure the wing will sit where it is supposed to, and: substitutes for many of the materials. The body veiling is Swan, Crow is Ken Sawada substitute and I use Kingfisher instead of chatterer.